Blake Lively guest star on ‘Sesame Street’ Special! 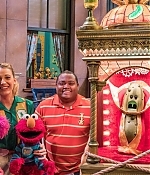 Blake Lively and Amanda Seyfried both appeared in “When You Wish Upon a Pickle,” which marked the launch of Sesame Street on the premium cable channel. 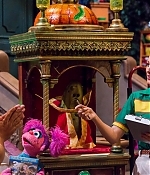 In the special, a mysterious wish machine appears on Sesame Street and the magical pickle inside starts granting wishes. Before long, the gang learns they need to be careful what they wish for – especially when they find out he’ll only grant one wish per customer! Blake played a delivery person while Amanda appeared as Natalie Neptune. Watch Sesame Street‘s 49th season each Saturday on HBO! Blake Lively attends the Versace fashion show!